Chengdu Haileabo Amusement Equipment Co. Ltd. Customized design available to meet your business plan or layout plan, etc. Spiral Plastic Single Track Slide, Curly Plastic Single Track Slide, Linear Tunnel Slide, Linear Plastic Double Track Slide (one track to slide down, another track to climb up), Net Tunnel, Climbings, Bridge,Stairs, Decks, etc.. Installation Instructions, Tool Kit, etc. 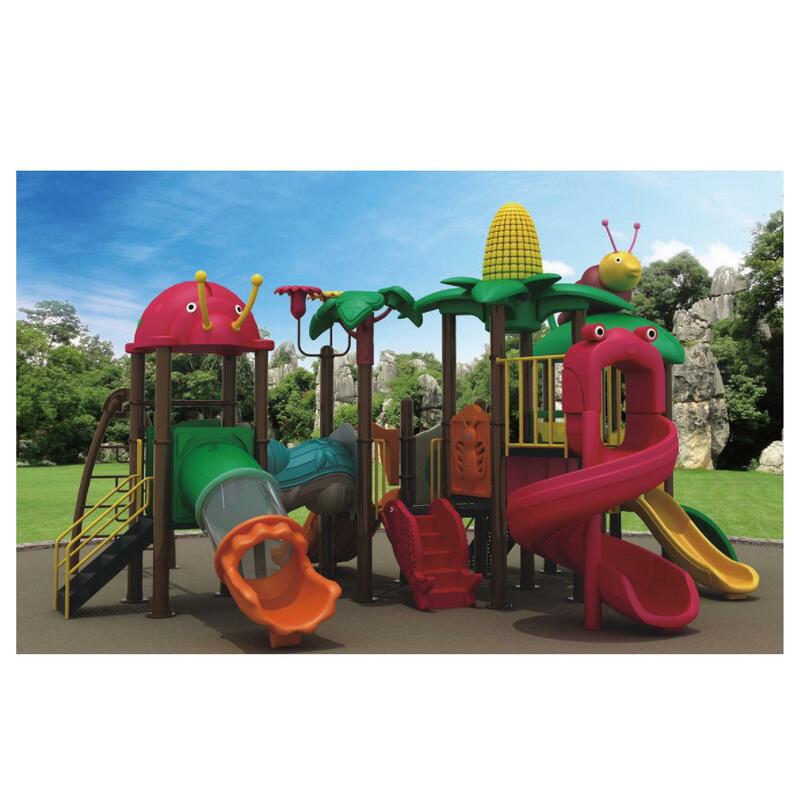 Shopping Mall, Supermarket, Kindergarten, Amusement Park, Playground, Commercial Play Center, School, Community, etc. 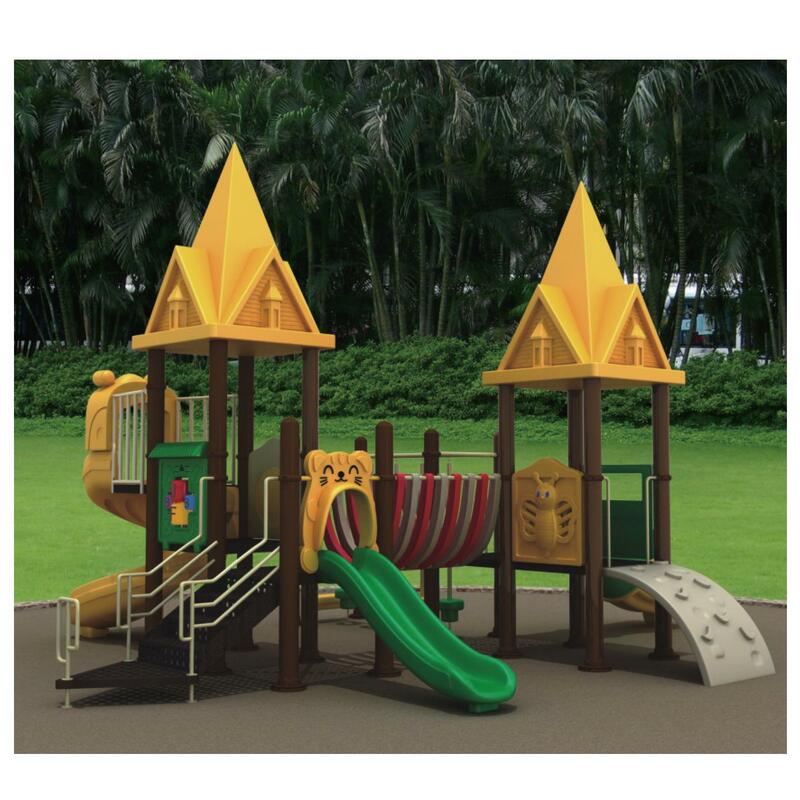 Outdoor play for 3-15y children: included sliding, creeping & climbing, tunneling activities etc, fading-resistant, anti-static, anti-aging, anti cracking, strong, safe and durable; optional color, style, theme, Size and modular combinations etc., customization for differentiation and actual site space. Metal Parts: Cotton / or Bubble Wrap plus PP Wrapping. A. Maintenance: check the screws and other catchers regularly to ensure the firm structure. B. Supervision: Adults supervision for young children play is necessary. C. No contact to any blunt objects or acid liquor. Style, color, function areas, entrance position, etc. 4. Printing file if you want to show your logo, image design, etc. 5. Others data requested by our design engineers. 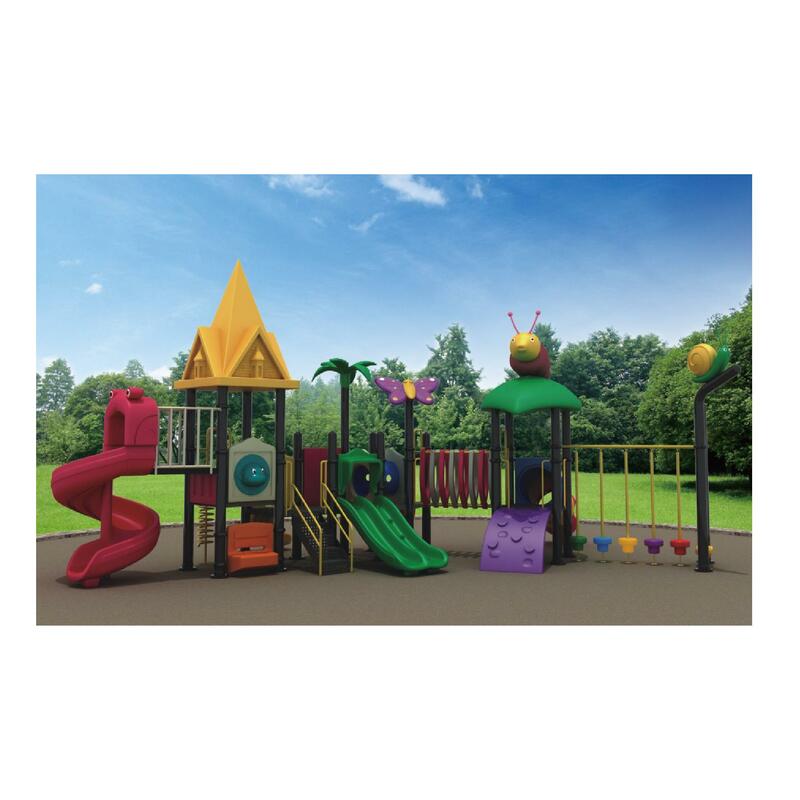 Q1: Can you do special outdoor playground equipment for different customers? A: Yes we can! 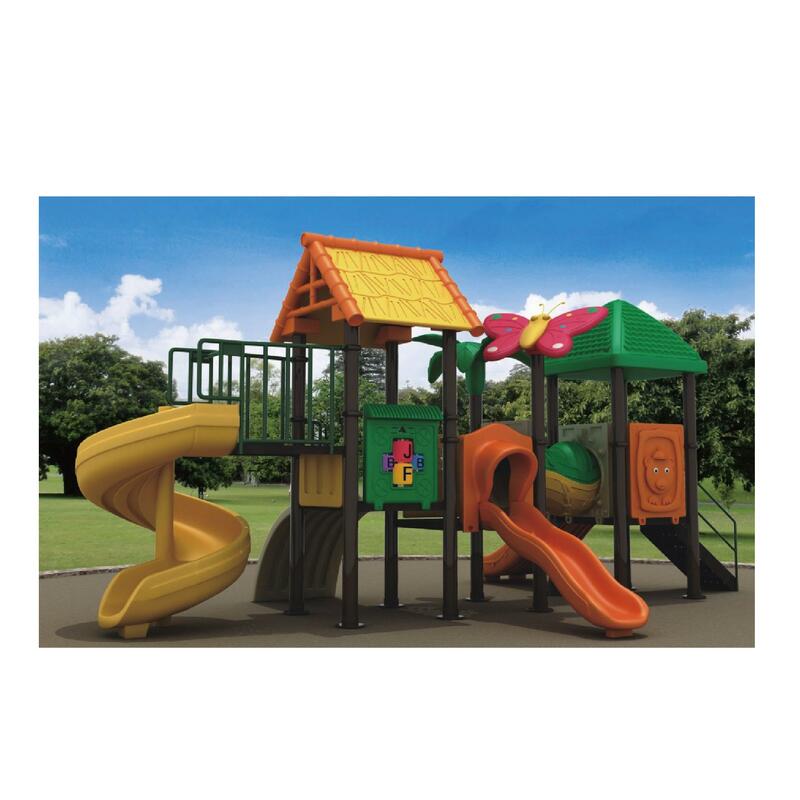 Just tell us your business plan with CAD drawing and /or your outdoor play area layout plan with dimension remarks . We have more than 3 professional design and develop engineers to do customized 3D-effect drawings for your check, choice, confirmation and final approval. We have experienced work-teams to get your final approved tailor-made equipment done within 25-40 days after your deposit. 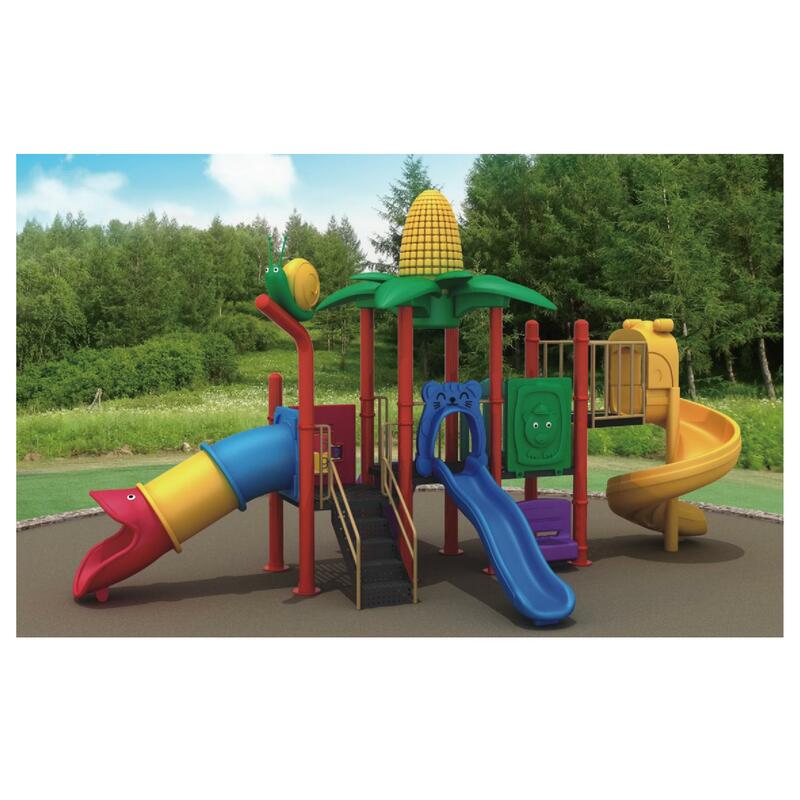 Q2: How to set up the outdoor playground? A: You can do the installation with our CAD Drawings for Installation Instructions, Installation & Maintenance Tool Kit and other details ( eg. component list etc.). We also can do it by sending technicians / engineers to your country to guide the installation and train you, but you need pay the round-trip ticket and accommodation, and extra USD 100 per day for one technician / engineer. Q3: What Material are used to build the outdoor playground? Deck, stair, bridge: galvanized steel, covered with anti-skip . Fasteners: Stainless Steel AISI 304 etc..
We only use qualified good material to make the equipments. Q4: What is your quality policy? A: Our quality warranty is 3 years for normal use / operating only. We will charge you cost only after 3 years, but any time we have to charge you cost for our trouble-shooting caused by your abnormal use / operating. Q5: How about your customer service? A: Please feel free to contact us via IM or phone (work time) , or email (email) and let us know what we can do for you. Generally we will respond you within 24 hours. Q6: Is special certificate available? A. Yes but you need give us leadtime ( generally 30-90 work days) to get the special certificate for your market. If the total amount of your orders is more than USD 50,000 we can do one special certificate for you for free. Q7: any special caution to the outdoor playground? B. Supervision: Adults supervision for kids play is necessary.